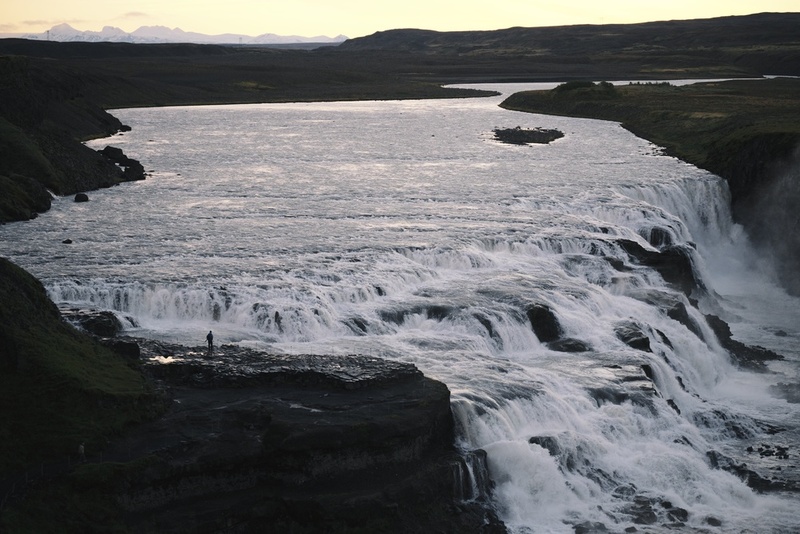 Less dramatic half of Gullfoss. Big day. Did a ton of great stuff. Met a bunch of folks, some from LA, Spain, Canada, all over the place. Even met a arctic puppy! I of course took a photo with the little pup. These Canadians, though, were unimpressed by even the discussion of the Northern Lights?! I guess if you see it all the time anything can become mundane. I'm still excited though. Big day tomorrow. Met with the owner of South Iceland Adventures, Siggi, awesome guy instant pals. He set me on a good path for the rest of my trip. I'm heading east tomorrow in hopes of making it to the Glacier Lagoon with good weather. Exciting things to come.